Bluegiga have released the new Access Point 3201 (AP3201), a new addition to the Access Server product family, which is available through Glyn High-Tech Distribution . The AP3201 enables reliable and secure Bluetooth wireless connectivity between devices and networks. The AP3201 utilises Bluegiga’s iWRAP Bluetooth software platform together with Bluegiga’s Linux distribution thereby enabling integrators and developers to adapt the device into any Bluetooth networking application. It is also capable of utilising Bluegiga Solution Manager (BSM) environment, enabling network managers and administrators to manage, configure and monitor the Access Points remotely. This makes the installation and management of medium and large scale systems affordable. The AP3201 is powered with Bluegiga’s WT11 Bluetooth 2.0/2.1+EDR module that enables more than 150 metres connection range and offers users the most advanced performance. It can be configured with software settings for smaller radio cell coverage for optimum networking topologies and performance. 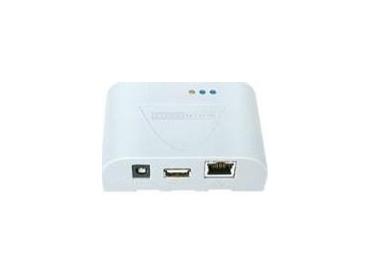 The Access Point has built-in Ethernet interface for Internet connectivity and USB connector for extending the device with extra memory, 3GSM/GPRS or Wi-FI USB dongles. The AP3201 is available in four different versions such as integrated antenna with external antenna, OEM version without the housing and customised versions for different software parameters. The device is targeted at Bluetooth medical and healthcare applications, Bluetooth marketing, Point-of-sale, logistics systems and audio applications.